Many sheep and cattle stations in Australia are huge, with some stations covering more than 1 million hectares. This is the real Outback where sheep and cattle are free to roam and the farmer only sees them once or twice a year. 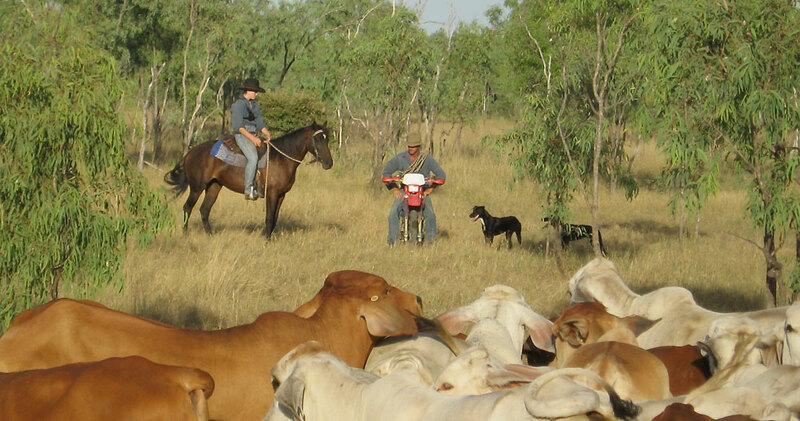 You will be trained to be useful on a horse, bike and tractor and once you are on a station you will soon pick up the skills of working cattle or sheep, mustering, droving, branding, tagging, injecting, fence repair and machinery use. We also have farm jobs on smaller grazing properties closer to the coast, often mixed farms with both crops and some animals. Both guys and girls are suitable for this type of farm work as long as you like working with animals and have the sense to respect them. Wages start at the Government regulated minimum wage, but can be more depending on experience and skills. The minimum wage for „Station Hands“ is currently at A$450 per week after tax if room and board is provided by the employer. For those under 20yrs, the wage rates can be reduced by up to 20%, but not always. Accommodation is usually close to the farm house with single rooms available. Station cooks as well as household help and child care workers are also in demand on many Outback stations. Cropping farms in Australia range from small, intensive farms (20-50 Ha) to extensive commercial operations covering thousands of hectares (Cubbie Station in Queensland at 93,000 Ha is the largest irrigated cotton farm in the southern hemisphere). These large operations generally grow wheat, cotton, sorghum, maize, sunflowers and soybeans while the more intensive farms closer to the coast grow fruit and vegetables. Most farm work on these stations relates to operating large machinery such as tractors and equipment used to plough, plant, spray and harvest crops. Good drivers are also needed for grader work, stick raking (removing scrub and brush to make grazing or cropping land) and bulldozer work. Anyone who has truck or tractor driving experience can quickly learn these skills. Interestingly, many farmers prefer to employ women to operate their machinery as they tend to be more careful and skillful operators. Machinery operators can earn over A$1,000 per week including all meals and accommodation. While these are mostly short-term farm jobs (4 to 10 weeks) were you can move from one job to another if you really want to make really good money. Apart from working with horses on sheep or cattle stations, we also have dozens of other farm jobs working directly with horses. We have jobs on horse farms specializing on 3 Day Event horses, show Jumpers, Polocrosse and Polo Ponies, Dressage and Endurance horses as well as Stock Horse studs and race horse trainers. These farm jobs involve feeding, exercise and grooming horses both in stalls and in the paddock and preparing horses for their owners to ride. We also have seasonal jobs in trail riding centres, where in addition to general horse care, you take groups of people out trail riding – a great job for the horse lover. While some of these farm jobs are only available for experienced horse riders, some employers are willing to teach those wishing to improve their skills. In these cases, a smaller wage is paid to compensate for the teaching received. Accommodation and meal are usually included. Due to the distances involved, the young children on Outback stations are often taught at home using Distant Learning, rather than attending school. Distant Learning school work is set by the State Government and the children are supplied with all their books, lesson outlines, videos, audio tapes, TV programs and timetables. 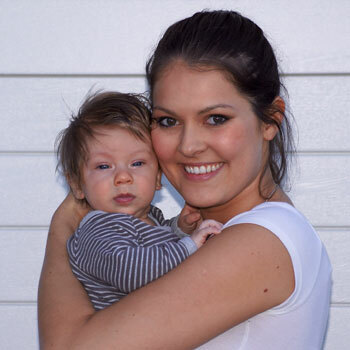 We have many Governesses and tutor positions for young people interested in teaching children in the Outback. This usually involves living in the farm homestead and supervising the lessons of one to four children, each at different stages of schooling. Most bush children are very bright and want to learn – they are frequently well ahead of their school-going contemporaries once they get to boarding school – usually at the age of thirteen. You don’t need to be a trained teacher to fill these jobs. If you are bright, have been accepted into University or have gained good academic results from Highschool, you would be considered. The most important thing is that you have a passion for working with children. Schoolwork is usually done in the daytime but when the Station is busy and the children help with the stock work, lessons may happen at night, on weekends or the next day so you will have to be flexible. If you are looking for an Outback experience but are not cut out for hands-on farm work, we have many jobs helping at outback station homesteads. This includes helping the station homestead wife with the cooking and cleaning, washing and ironing, washing up and dusting, helping out with the children and doing some gardening, basically everything needed to be done to keep an Outback homestead functioning. We also have Girl Friday positions available which involve doing a combination of indoor and outdoor work such as driving, helping with the young animals and taking part in some lighter aspects of farm work. The average wage for these jobs is again A$450 per week after tax, depending on age and experience and you are always given free food and accommodation. You usually live in the family homestead and the job is for two to six months. The Outback offers many opportunities in the hospitality sector. One of the more popular jobs is working at one of the many Outback pubs where the job involves working behind the bar, helping out in the kitchen, cleaning rooms and anything else that needs to be done. These jobs are sometimes available for two people and are mostly exclusively for girls. We also have positions working in Outback roadhouses which are service stations with restaurants. The jobs here involve serving behind the counter, serving fuel, cooking burgers etc, gardening and some cleaning. These jobs are sometimes available for two people. You could also get a job at a Holiday Farm Stay which are working farms that take guests for a farm stay experience. Again the work is varied, being a combination of indoor and outdoor farmhouse and farming work and with guests. Chefs and cooks are in short supply in the outback and are therefore well paid. Those with cooking skills and qualifications can expect to get the highest pay, whether you are working in a pub or roadhouse (on an hourly wage) or on a cattle or sheep station (weekly wage). You could be a Station Cook on an Outback Station, catering for up to 20 people, or you could be a Camp Cook, miles out in the bush – first making a hole, filling it with stones, collecting wood, lighting a fire and THEN using your culinary skills! All jobs provide free food and accommodation, so what you earn is what you can save – less the donation to the Taxman.